Here you will find more detailed specification list. Totally new WYSIWYG online HTML editor with great new features like inline CSS management. All features are available for just one price. Coupon system: exchange a coupon or give a coupon as a gift to a friend! 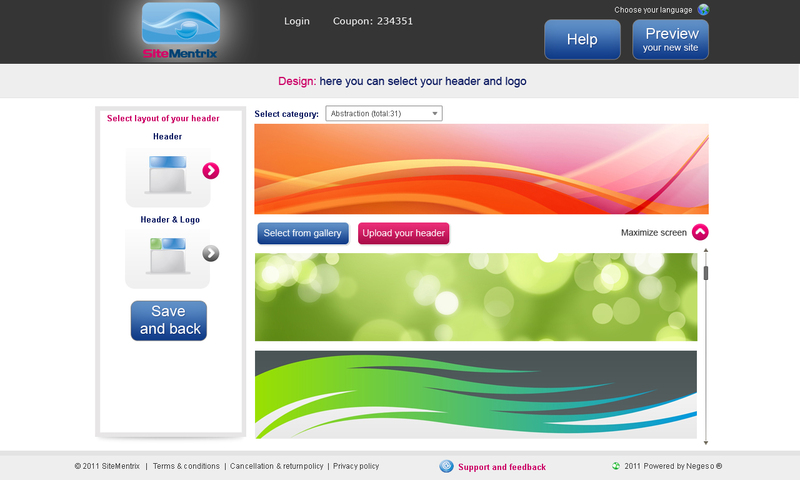 Ability to upgrade to SiteMentrix Edition: Advanced CMS and 100% handmade web. Backend improved compatibility with IE 8 + 9 and Firefox. Possibility to display Google adverts on your website with the AdSense programme. 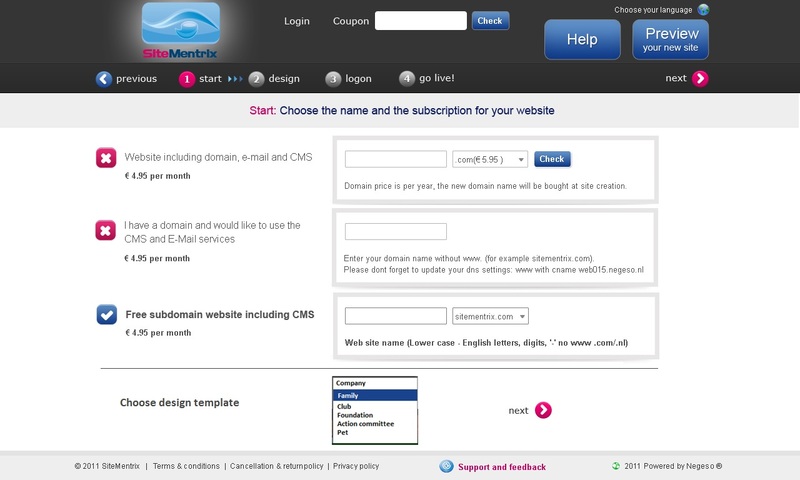 SiteMentrix is an online Content Management System and Website Builder. Overall rating 5/5 based on 500 reviews. The editor is as easy and feature rich as a word processor. Fine control over inline CSS styling too if I need it. One of the best without a doubt! It has all the features I need, online photo album, web forms and a guest book as well. And all that for one price! I want to monitor my website's traffic. Setting up Google Analytics was easy, just entered my code, SiteMentrix took care of the tech stuff automatically. 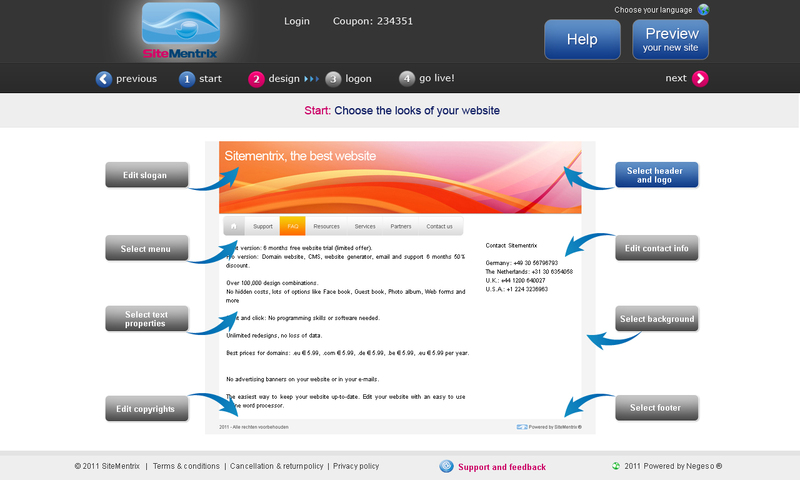 Your SiteMentrix CMS website, online in 4 easy steps!